By 10 AM today my toddler was eating a vanilla ice cream shake. Why? 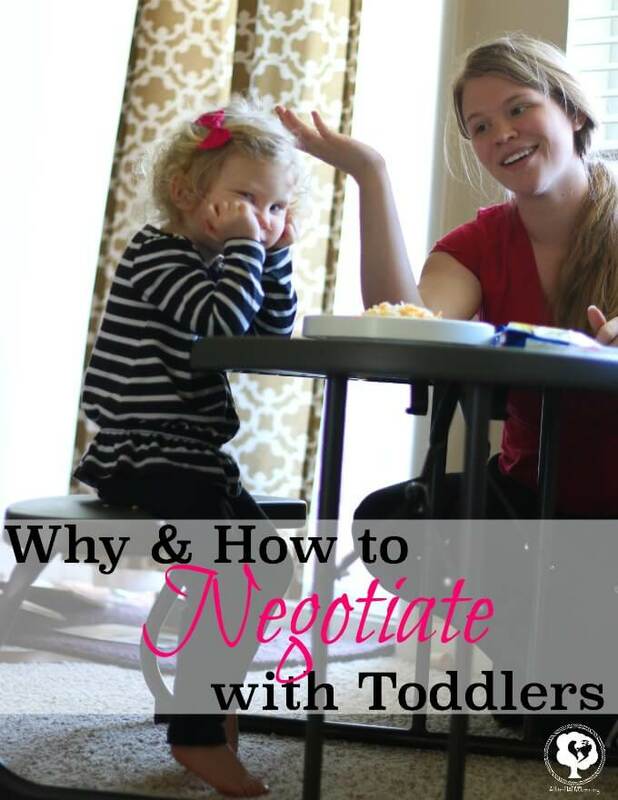 Because I negotiated with my child. We’re in the middle of a move across country and my heart knows I need to loosen my grip on our day in order to get things done. So today? I will compromise on food because I know it’s not an every day occurrence. So when Jenn started screaming in the parking lot because she couldn’t unlock the car door by herself, we talked. We worked it out with a peaceful parenting approach that allowed both of us to talk it out. We talked about how I was holding baby sister and couldn’t pick big sister up to unlock the door. We talked about how babies may cry when they need something, but big kids don’t scream when they don’t get something they want. And in the process, we discussed what big kids can do that babies can’t. So in the end, we settled on the fact that big girls eat real food; therefore, she could even have an ice cream shake if she would give me the keys and eat healthy foods through the day. So let’s first get this straight. When I say negotiate, I am sure you hear bribe and persuade. Maybe you even see that in the story. But that’s not what I said, nor what I did. To negotiate is an action meaning that both sides reach an agreement by discussion. And that exactly the kind of parenting style I want to exhibit. There are four types of parents: authoritarian, authoritative, permissive, and uninvolved. Which do you want to exhibit to your children and which one is most like real life? Because I believe in discipline, consequences, setting limits, and problem-solving, I subscribe to the authoritative parenting model. Therefore, negotiating with kids falls in this category. 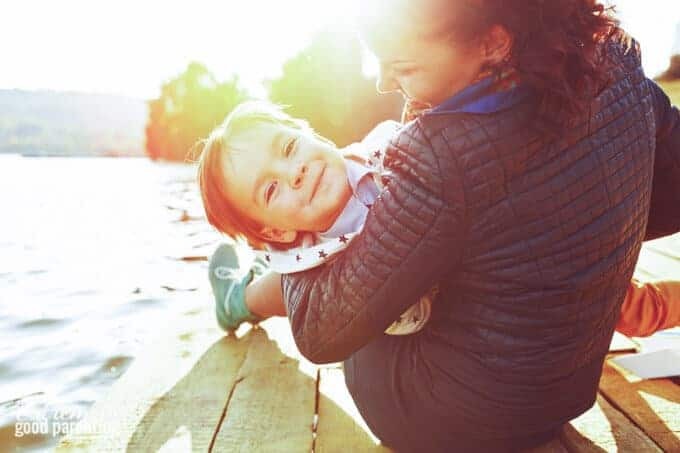 This means the parent is in control but confronts the doubts, questions, and even power struggles without ignoring their child’s needs and desires. Also without being so permissive/uninvolved to be used like a doormat. All too often I hear parents say that they refuse to negotiate with their kids and that it shows a lack of follow through and doesn’t teach consequences. But ironically enough, if you look in the thesaurus negotiate is a synonym for follow through. So to be perfectly clear, it doesn’t give up the keys to the kingdom, it simply allows them to feel like they’re not held hostage within the boundaries that you set. Negotiating can mean you present two choices to which natural consequences will arise from the one that they choose. And in talking it out by hearing out a child’s perspective builds trust in a parent’s follow-through typically more than a parent’s authoritarian promise to lay down the law. Remember, bribing kids is not the goal. But teaching our kids to be able to settle an argument or come to terms with their peers or maybe even adults in their lives is great tool to have and important to foster independent and confident children. When I talk with my daughter about something and negotiate with her, it means I need to… no, I must… follow through on my end. If I tell her at the end of our conversation that she is going to get an ice cream shake and I don’t deliver, then it is teaching her that she cannot trust what I say. It also means that future discussions are going to be harder or not happen at all because she thinks she can’t trust me; thus, authoritarian and not authoritative parenting would have to come into play. But if she develops a respect for working through situations with me, we can both trust that the other will follow through in the end. So it’s all about mutual respect and mutual trust between parent and child. Read more on proven ways to build trust with your children. Would you be so bold as to tell a CEO of a company that their paycheck is a reward and not something they earned? Rewards are something given for recognition and typically are arbitrary and no discussion is involved. So this is not about giving stickers, candy, or treats for using the bathroom or anything of that sort. It’s about opening positive parenting communication with children where certain expectations are set for both child and parent. While I have already illustrated this point, it needs to be said. In real life, few people reward us for mundane tasks. However, we all must learn to negotiate. We do this to buy houses, automobiles, terms of service in contracts, the pay we receive for the work we do, and more. There is value in what we do as individuals and I am not only teaching her that she has a voice, but I am also teaching her that she has value. Discover more ways to be successful in raising confident children. I am a firm believer in not doing everything for children and teaching them to problem solve. If my toddler wants an orange, I am less likely to get it for her and more likely to ask her “What are the steps needed to get that orange?”. So just like I teach problem-solving, I want to teach her that she can problem solve and think outside of the box in situations as well. Finally, but not any less important, to negotiate with a child is to open the door for discussion and gives the ability to teach. Again, in our ice cream at 10 am scenario, I was able to teach her appropriate behaviors for her age. I was able to teach her that we must care for those smaller and less able than ourselves. And I was able to teach her that I was willing to talk to her and not write her off even in the heat of the moment. 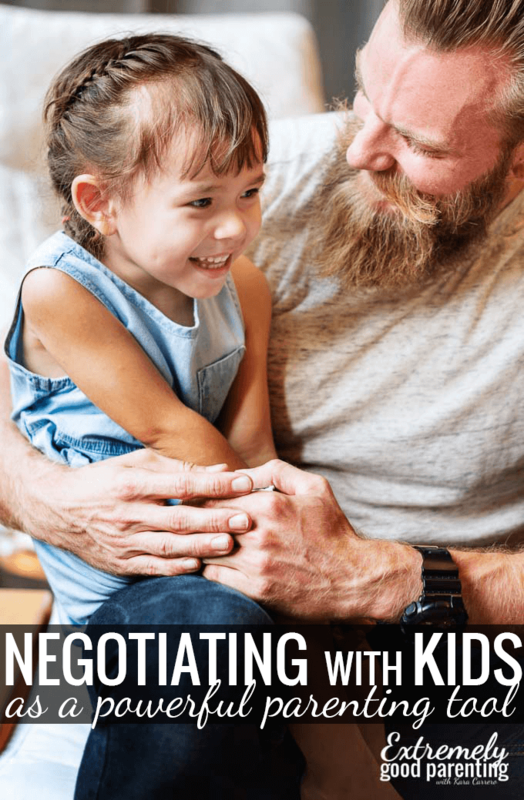 In the end, learning to negotiate with young children and allowing it in your home has the potential to build stronger relationships through teachable moments. Previous Post: « Instilling gratefulness in a generation that thinks they deserve it all. i love this. 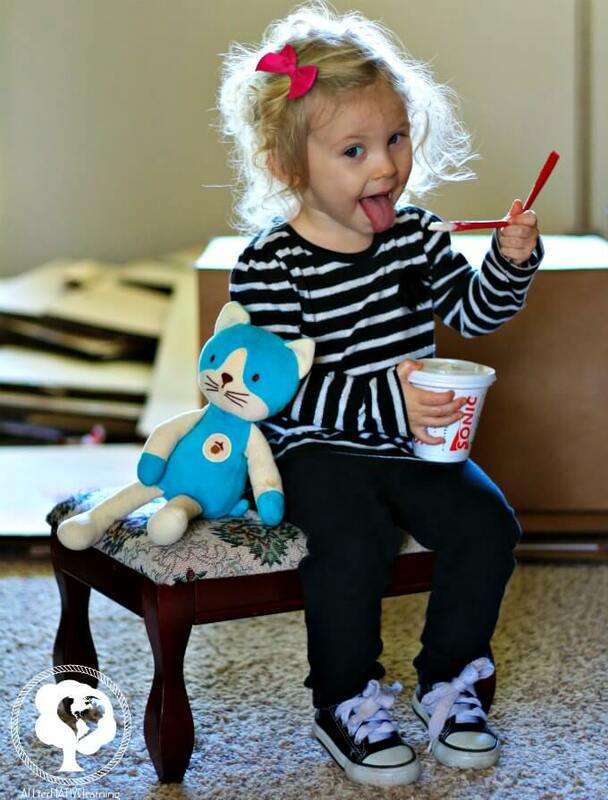 And the picture of her with the ice cream shake is precious. My son is only nine months old, but I’m saving this. Thanks! She was just living life in that moment and I had to capture that moment. It will be one I won’t soon forget! I hope that as your baby gets older that it really helps. We are now especially negotiating “5 more minutes” and then sticking to the time extension. It’s definitely teaching her she can trust us, but that we have boundaries we expect her to follow. I do this with my 2 year old and now I notice her asking me before bed “Can I have a little juice? Just a little bit?” or I ask “Can you come here please?” she will be in another room and she will say “Yes, in a minute.” and she is just finishing what she was doing and coming right away. Today she was trying to pour granola in her plastic kitchen skillet to “cook” it. I came over and stopped her… because she isn’t suppose to grab things off the counter. Then we talked about what she wanted to do with the cereal and I told her I was concerned that she was going to make a mess and spill it everywhere. So, I had her help me pour a toddler handful into the pan and she happily “cooked” it and then got to taste it “mmm yummy”. I am actually an ENTP and my INFJ husband has a difficult time doing negotiations because he is worried about them leading to reinforcing a behavior that could be potentially dangerous and she doesn’t listen right away. But I can tell that just giving that little bit of freedom to discuss a topic seems to help them listen more instead of having defiance and defiance can definitely be dangerous. or led to them trying to hide things instead of asking first. Great article. We all have to come to things in our own way. I am not a fan of rewards and have never used them because I find them to be manipulative. I agree with you on all counts here except for one. I will, and have, done many things for my child that he could do for himself. My reasoning here is that while I feel it is important to be able to do things on your own, it is also important to know how and when it is ok to ask others to do something for you. I also noticed that the more I did for my son, the more he did for himself and for others in the family. I would certainly ask my husband who was near the fridge to bring me a glass of water and he would kindly and happily do it for me. Your purpose was to teach problem solving though and I do that the same way you do. Thanks Sheila! I think we’re still on the same page with the problem solving. Ultimately, what I am saying is that I don’t do 100% of the things my children ask for because I don’t even have time to wait on them hand and foot. But also, one of the things we do in teaching them problem solving that is a viable option, is for our kids to realize that you can ask politely for help! We just have a balance though too in not always doing the things they can do because many times, for us, it’s just about not doing it. Like my daughter yesterday asked if I could pick up her toy car because she wanted to play with it. I was 20 feet away and the car was LITERALLY at her feet! haha. Yes, I agree. We are thinking along the same lines. My child is older so I tend to forget some of the interesting little requests made by toddlers who need something “now!” lol I am not ever doing 100 percent either and yes, the when and how are important.